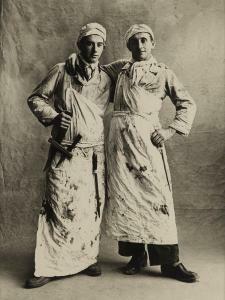 Find artworks, auction results, sale prices and pictures of Irving Penn at auctions worldwide. 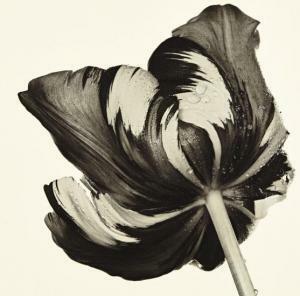 Penn Irving Cottage Tulip: Sorbet, New York 1967 Platinum palladium print, printed 1987. 17 3/8 x 17 7/8 in. (44.1 x 45.4 cm) Signed, initialed, titled, dated, numbered 2/9, annotated, credited in ink and/or pencil and copyright credit Condé Nast reproduction limitation stamp on the reverse of the aluminum flush-mount. 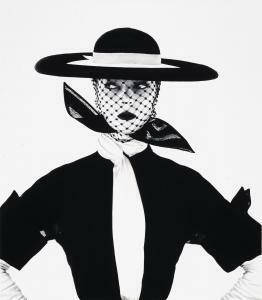 IRVING PENN (1917–2009) Black and White Vogue Cover (Jean Patchett), New York, 1950 selenium toned gelatin silver print, flush-mounted on paper, printed 1984 signed, titled and dated in ink, numbered 'REF: 7371' in pencil, stamped photographer's/Condé Nast copyright credit and edition information (flush mount, verso) image: 17 3/4 x 15 1/4 in. (45 x 38.7 cm.) sheet/flush mount: 18 x 15 7/8 in. (45.7 x 40.3 cm.) 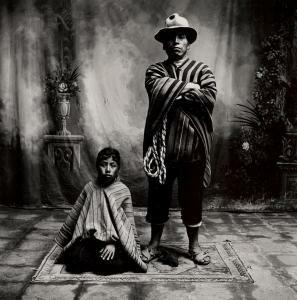 This work is from an edition of sixteen signed, silver prints. Provenance Private Collection, Japan; acquired from the above by the present owner, c. 2000. 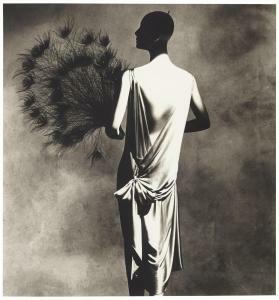 IRVING PENN (1917–2009) Vionnet Dress with Fan, 1977 platinum-palladium print, printed 1978 signed, titled, dated, and numbered '9/37' in pencil, stamped photographer's copyright credit, reproduction limitation and edition information (verso) image: 21 1/8 x 19 5/8 in. (54 x 50.4 cm.) sheet: 25 x 22 1/2 in. (63.5 x 57.2 cm.) This work is number nine from an edition of thirty-seven.